DISCOVER THE GULF OF MEXICO FROM YOUR OWN PRIVATE BALCONY! getaway. You will want to come back year after year. 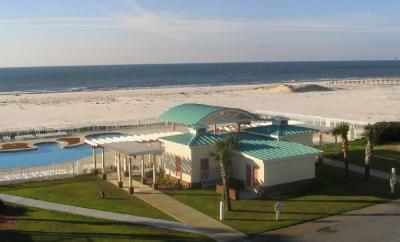 Gulf Shores, yet our beach is not crowded or over-developed. away from the beautiful sugar-white sand beach. bedroom has two twin beds and 13-inch cable television with VCR. reservation. You'll be glad you did! $200 Deposit required. Cleaning Fee $65. 8.5% State/County Tax. Money Order. Please contact us for details!